In today’s highly digital world, many users and employees are accessing information from multiple devices and from many locations. Enterprise mobile management tools are becoming a must have for most businesses in order to deliver an optimal user experience. The IBM MaaS360 suite allows for a robust app development platform where you can increase portability and interoperability to enable and support every mobile user in your organization. 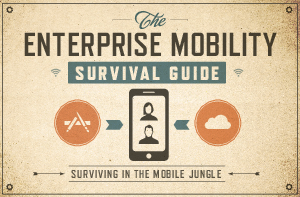 Download this e-book to see how you can create the best mobile environment for your users and employees. All of the Enterprise Mobile Management tools and services needed to deliver the optimal user experience to every user, wherever they are, whatever app they are using, and whenever they need resources, are well-integrated into the MaaS360 suite from IBM.